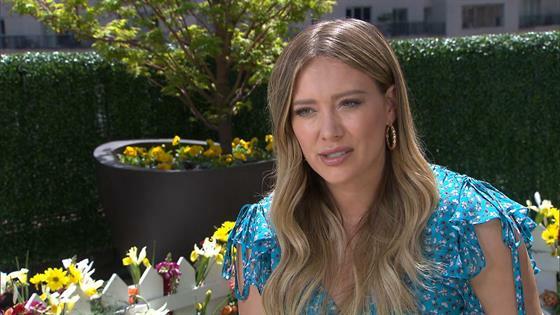 Hilary Duff Gets Real About Parenting: "I Don't Always Balance It All"
Hilary Duff is opening up about balancing motherhood and personal time. The 30-year-old actress is mom to 6-year-old Luca Comrie, with whom she shares with her ex, Mike Comrie. Since becoming a mom, Duff has continued her very successful career, starring on shows like her current hit, Younger. And, like many parents out there, she admittedly struggles sometimes to find a balance between being a mom, working and finding personal time for herself. "I don't always balance it all, I do the best that I can, and some months are crazier than others," Duff recently told E! News in an exclusive interview. "I'm a mother first, so he's always my number one priority. And then my decision-making process is like, 'Hey can I make this work? Is he going to get enough of what he needs from me?'" "I think that I've been doing this for a while so I do have a strong work ethic and I have a lot of people around me that help keep my schedule straight and plan and know where my priorities lie," Duff continued. "So it's a little bit of a collaborative effort too." Duff also told us she recently figured out the importance of taking time for herself. 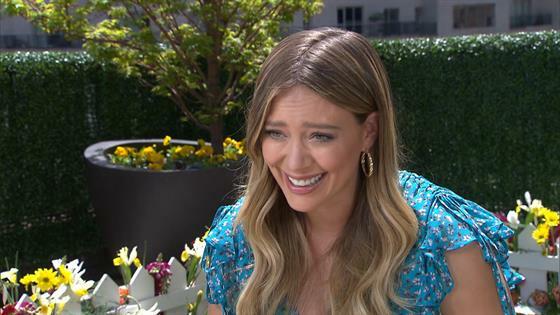 "I started to feel less guilt about taking time for myself, or you know, maybe not putting Luca to bed one night and going out with my girlfriends and having a fun dinner," Duff shared. "That stuff rejuvenates you, and I matter too." Duff has teamed up with Claritin and Boys & Girls Clubs of America to launch the 20 Minutes of Spring Project, which encourages people to get outside and be active. Watch the actress talk about motherhood, her new project and her favorite workouts in the videos above!